Series 774 Series Double Check Valve Assemblies began production in 1998. Sizes run from 2 1/2" - 12" and are all stainless steel body devices. Please be sure which model you have as the 774 and 774X use different repair parts. They utilize a single Victaulic cover with two self contained plastic cam checks that thread into the body. There are no rubber repair kits available for the 2 1/2 - 6" sizes, only complete cam checks. 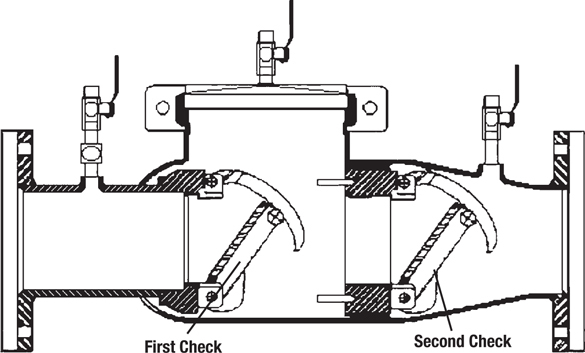 Although specialty tools are not required for servicing the device, there is a handy cam check tool available, designed to save time and prevent damage to the cam checks.